No, this is not an all-new A6 Avant. It’s something much better. 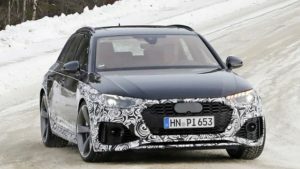 This is the completely redesigned 2019 Audi S6 Avant. 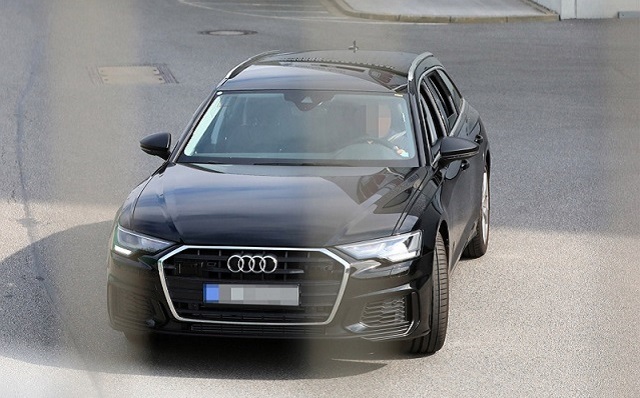 The performance wagon has been spied testing without any camouflage at all, which means that the official premiere can’t be too far. Moreover, we are pretty sure that the mighty car won’t skip this year’s Frankfurt Motor Show. The U.S. model, on the other hand, won’t happen for now. The model shows the more massive front bumper with additional air intakes, while the rear end gets the quad exhaust tips along with a sporty diffuser. The wagon will feature essentially the same interior design as the S6 sedan, including some extra space over the predecessor. The roomier cabin is not going to happen due to the larger footprint. No, the next-generation Audi S6 Avant will keep the same dimensions. The car will, on the other hand, change the platform. It’s going to be supported by the latest evolution of the Volkswagen Group’s MLB platform, which also brings some weight savings and more options under the hood. Speaking of which, the 2019 Audi S6 Avant is not going to keep the existing twin-turbo 4.0-liter V8. Instead, the German automaker will definitely use the awesome twin-turbo 2.9-liter V6. The mighty mill will probably deliver 450 horsepower, which was the case with the outgoing model, though. There are some rumors that claim that Audi has a plan to introduce a diesel-powered S6 Avant as well. We are not sure that this is going to happen ever, but you never know. In any case, what we know for sure is the fact that the new 2.9-liter mill is not going to be mated to the existing dual-clutch gearbox. No, this time, the automaker will use an eight-speed automatic transmission. Since the new architecture allows more options under the hood, the new S6 Avant won’t be the only high-performance model with a mighty engine. Audi also works on the redesigned RS 6 with 600 hp, as well as an RS 6 e-tron with plug-in hybrid power.